Marcel Belline was a popular - and typically dapper - French clairvoyant, known as the "Prince of Clairvoyants" from the mid-50s to the 80s, whose successes included predicting the deaths of the Kennedy brothers, Einstein and Marilyn Monroe and the May 68 riots. 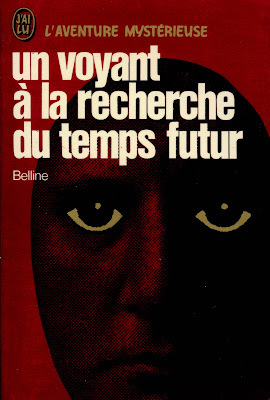 Un Voyant A La Recherche Du Temps Future (A Seer In Search Of Future Time) is one of three titles he wrote for the L'Aventure Mysterieuse (Mysterious Adventure) series of esoteric and paranormal books. 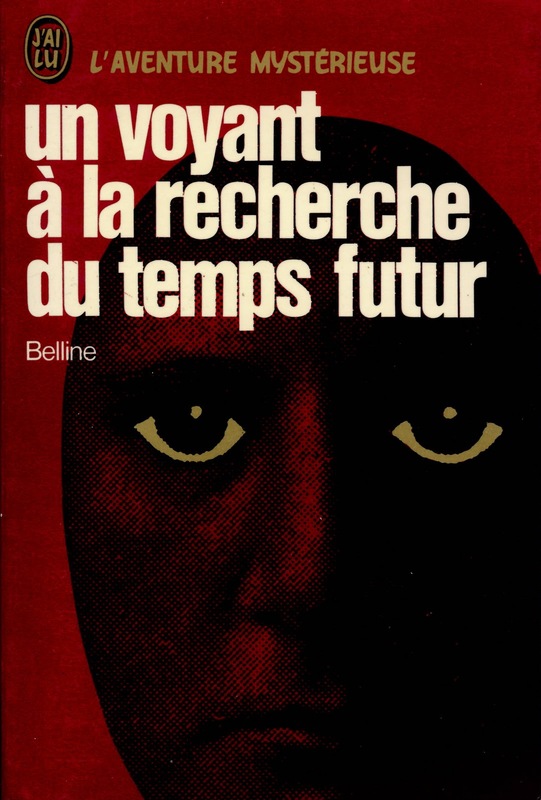 More than 150 L'Aventure Mysterieuse titles were published between 1962 and the mid-90s, including works by Robert Charroux, Erich Von Daniken and HP Lovecraft, aided considerably by the 70s revival of interest in Louis Pauwels and Jacques Bergier's The Magicians and its occult magazine offshoot Planet. More 70s editions from this series to follow. Can't wait to see more from this series! I hope you enjoyed the other covers Will, and this is a belated thanks - much appreciated. Your blogs are always fantastic.